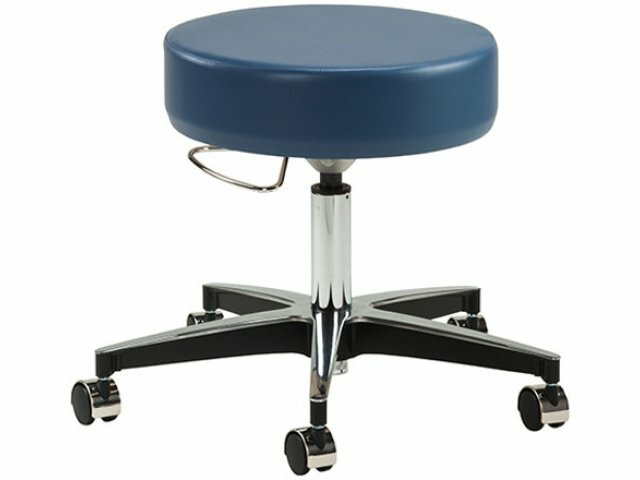 Getting your medical stool to the right height is easy with pneumatic adjustment. 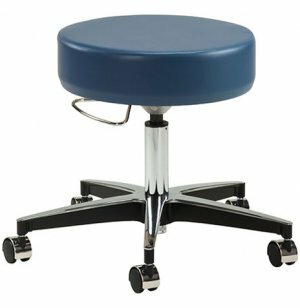 This sleek stool features a cast-aluminum base with black accents, which complements your choice of upholstery. Sleek Base: Premium 23" cast-aluminum base with satin top, black accents and chrome-hooded casters. Easy Adjustments: Large, easy-to-locate, D-shaped height lever enables smooth adjustment.